You know you're in trouble as a beer country when the lead line to your 'Beer in Italy' wikipedia page is "Beer in Italy is mainly pale lager." For those that have been keeping up 'pale lager' is most certainly not a good thing. It's basically a synonym for bland mass-produced beer for doing kegstands with. I'm all for kegstands, though, especially in Italy, with a keg of Peroni... but it's not the kind of beer you want to really enjoy for it's flavor. 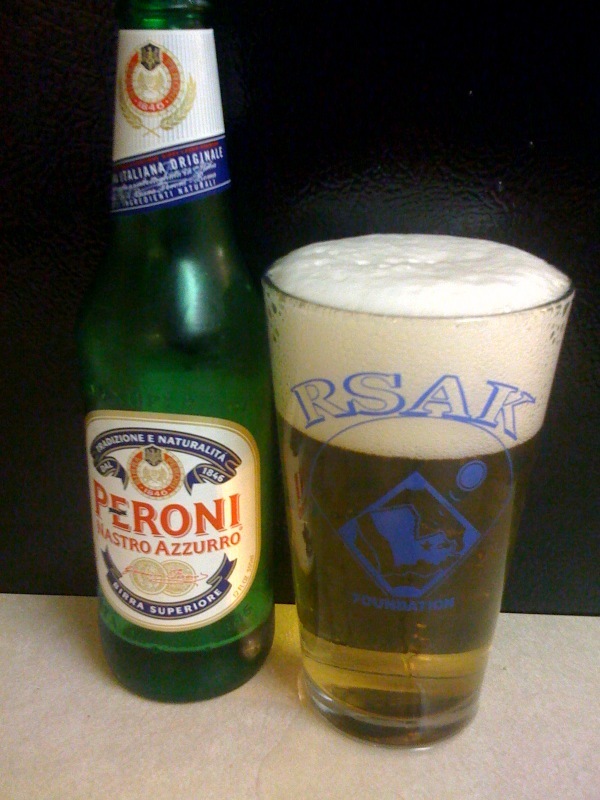 Peroni is the largest brand, but others like Moretti also compete for the market. In reality though, Italy is all about the wine. Hey look, an RSAK cup! That's right, I even included Peroni in an old post about Euro lagers. I was psychic or something back in December. Like a lot of these countries though, there is good news about the Italian beer scene. Digging a little deeper reveals a trend of microbreweries that is rising rapidly throughout Italy. I ran across this article about the trend, and even though it's almost 5 years old, it seems to hold true today. Essentially Italy is following the same path that the USA took in the late 70s and 80s. As the big guys (Peroni, Heineken, etc...) became such a large part of the market, there was an inevitable backlash that led to a rise of microbreweries and brewpubs. According to the article, as of 2005 there were over 100 microbreweries and brewpubs and BeerAdvocate currently lists a combined 137 breweries and brewpubs, so it appears the numbers are holding true and slightly increasing. So kudos to you, Italy! Keep up the good work and I'll be looking forward to hitting up some brewpubs on the next trip. Whenever that may be. Back to the 2010 FIFA World Cup Beer Tour main page. The Bite And Booze World Cup Tour. Spain - More Euro Pale Lagers! Brazil - What the hell?